Mixed media collaboration between contemporary artists BDB and Flore. 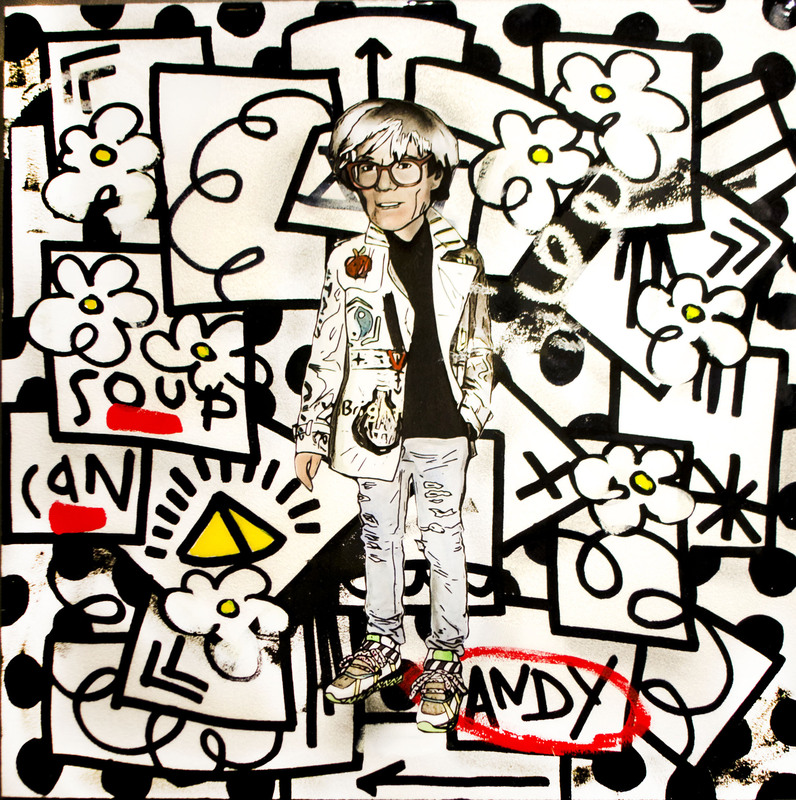 BDB creates paintings of pop icons dressed in the most current fashion trends, creating his own distinct style of pop meets street style. Flore is a hot new artist whose typography work echoes influences of the late Keith Haring, Roy Lichtenstein, and Andy Warhol. Flore aims to strip away all of the filters society places on our lives, and the stereotypes we subconsciously subscribe to. 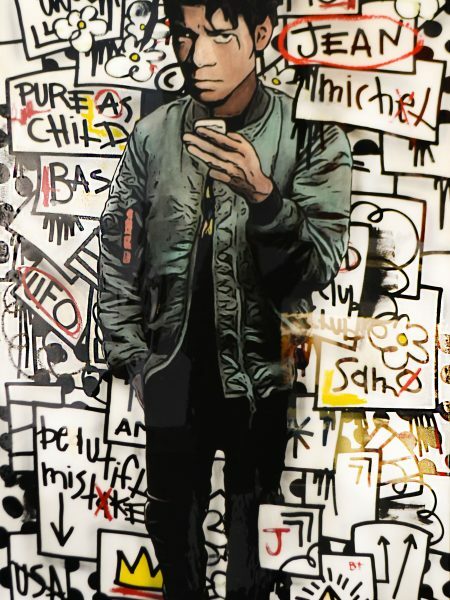 The Producer BDB is a contemporary artist with his roots beginning in street art. His drawings combine Pop Icons with current fashion trends. 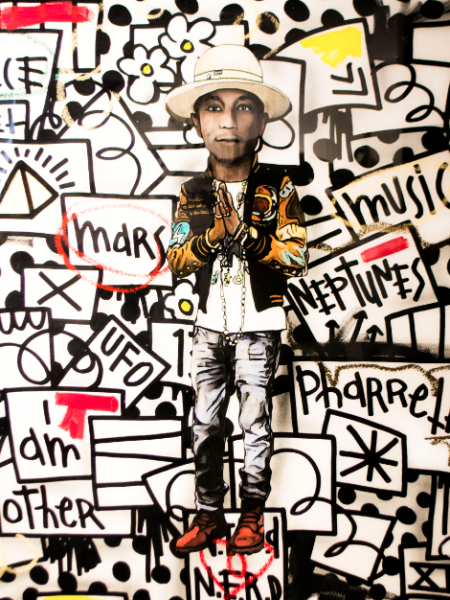 His distinct style emerges from street, pop, fashion and fine art. His art has been showcased around the world in the streets of Rio De Janerio, Madrid, Paris, Miami, Berlin and Los Angeles, where he currently resides. Flore is a hot new artist whose work echoes influences of the late Keith Haring, Roy Lichtenstein, and Andy Warhol. With his typography, Flore aims to strip away society’s filters, the habits we get stuck in, the rules we blindly follow, and the stereotypes we subconsciously subscribe to: “I try to see things simple, but you can get lost very easily in the monotonous pattern of life. Hi-def, multi-colored filters, or distractions, can mask reality; I want to deconstruct and expose those layers for what they really are, not just what they seem”.